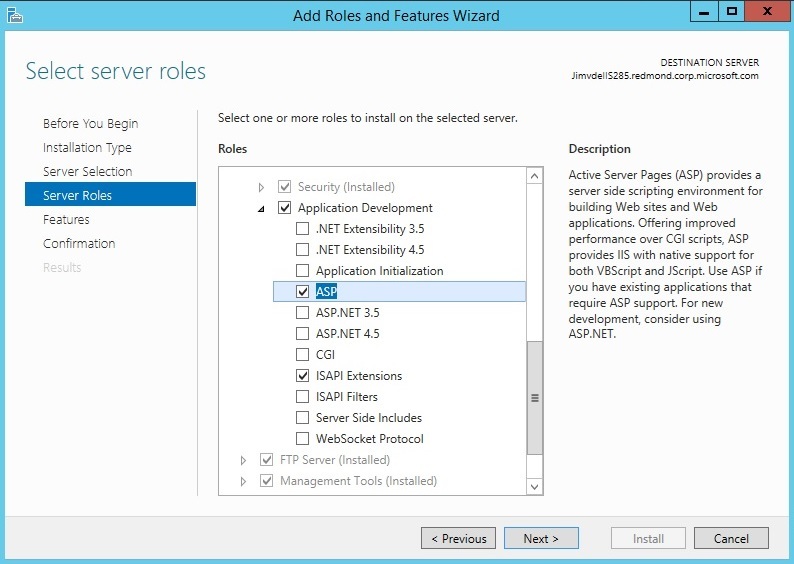 One of the challenges of running IIS on your own server vs. running it in the cloud is that you need to install the components you need manually, and it can sometimes be tricky figuring out what needs to be installed to get the functionality you need. 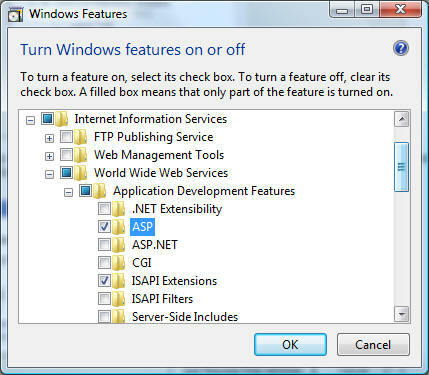 For example, in IIS, the classic version of ASP is not installed by default. Because of this, you might see HTTP 404 errors when you try to browse to an ASP page on your server, or you might see the source code for your ASP page displayed in your browser window. 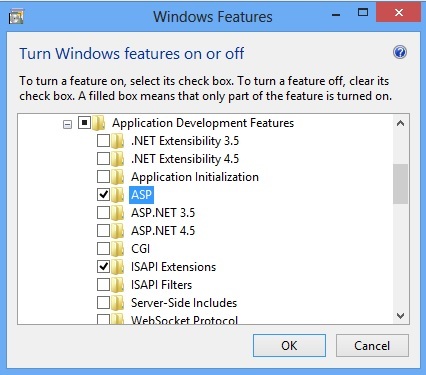 Both of these error conditions are created when configuration settings that are used to define the environment for classic ASP are not installed. 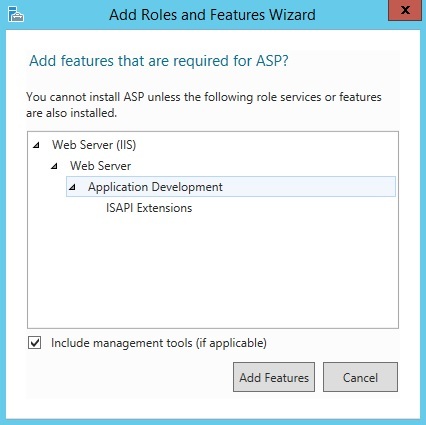 Expand Internet Information Services, expand World Wide Web Services, expand Application Development Features, and then select ASP. 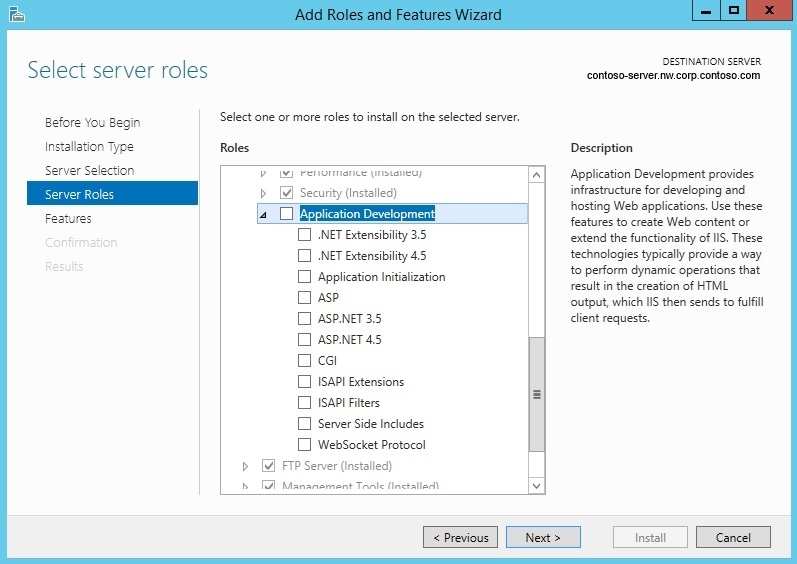 The ISAPI Extensions feature will be selected if it has not already been installed. 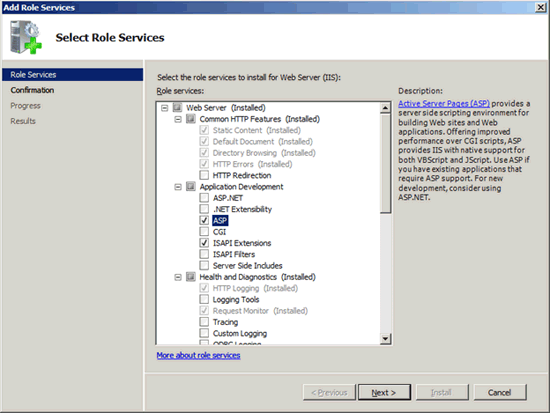 For more information about how to install classic ASP and how to configure classic ASP options, see the ASP <asp> article in the IIS configuration reference.